How can far-flung marine protected area (MPA) managers get connected? The Marine Mammals Protection Twinning project, one of three EU transatlantic MPA projects, was set up to connect MPA managers across the length and breadth of the North and South Atlantic ocean. 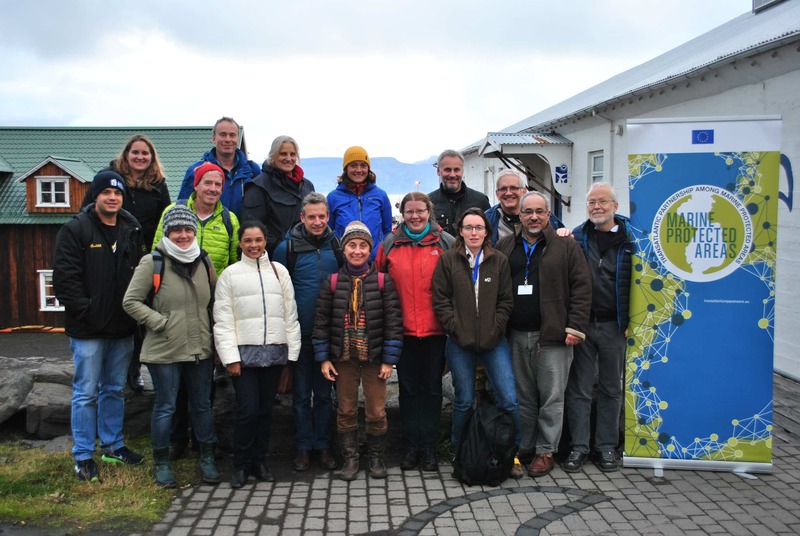 The project’s 2nd technical workshop, held 2-4 October 2017 at the Húsavík Whale Museum, in Húsavík, Iceland, invited Erich Hoyt, co-chair of the Task Force to present on Important Marine Mammal Areas (IMMAs) and marine mammal protected areas. This workshop examined twinning partnerships including sister sanctuaries and various MPA manager networks. Presentations and discussions centred around exchanges between participants linked by humpback whale feeding and breeding areas, including Cape Verde, Azores, Stellwagen Bank National Marine Sanctuary in the USA, the Agoa Sanctuary in the French Caribbean, the Netherlands Antilles, Brazil, and potentially Iceland. How can IMMAs contribute? For the Mediterranean, IMMAs already offer the best evidence for the location of marine mammal habitat contributing to potential corridors, zoning initiatives and a higher level of conservation protection in some cases. There was substantial interest in the IMMA tool for future Task Force workshops that would investigate habitats in the North and South Atlantic.